← “Pigs Trotter Pierre Koffmann” – In pursuit of an iconic dish! The first words from the urchins mouth were ” Hi, My name is Hugh Fearnley- Whittingstall, I’ve decided to go back to my roots and if I find them, I’ll probably eat them!” My eyes opened wide and I immediately turned the channel over feeling somewhat perturbed by this rich boy telling me he would eat “His roots” whilst dressed like a Hippy. 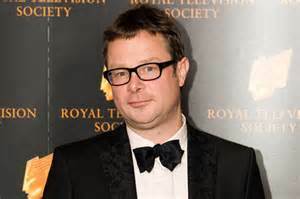 For some unknown reason I was compelled to turn the channel back to Hugh Fearnley-Whittingstall, Why…….? Why did I want to watch this guy eat anything and everything? Maybe it was is articulate, erudite middle class accent that I felt was quite paradoxical, whatever it was, I was watching and have done so ever since. Hugh Christopher Edmund Fearnley-Whittingstall whom I shall call Hugh hence forth Was born on 14th February 1965 in Hampstead, London, to Jane Fearnley-Whittingstall and Robert Fearnley Whittingstall. He attended Summerfields School in Gloucestershire before moving onto Eton and then St Peters College, Oxford, where He studied philosophy and psychology. After a brief period in Africa Hugh moved back to London to pursue a career in catering, he worked as a Sous-Chef at The River Cafe’ in London but by His own admission was very undisciplined and messy, the hectic, pressurised environment of a commercial kitchen didn’t suit his laid back style so he left later reflecting that this period of working in a busy professional kitchen was what shaped the rest of his career. For a brief time Hugh worked as a freelance journalist having articles published in Punch, The Times and The Evening Standard. It was in 1995 that Hugh was approached with regards to making “A cook on the wild side” It was this programme that hooked me forever into the fascinating world of foraging and cooking free offerings from the hedgerow, riverbank and road side. The view from River Cottage. River Cottage Three good things. A cook on the wild side. Having been told of the pitfalls, Hugh took the plunge and with His converted Jeep, complete with Shower, Pull out Kitchen, under boat roof sleeping facility and many kitchen utensils He started out on his journey, a journey that would take him the length and breadth of the British isles, into the Scottish Highlands, through the Calder valley, over to the west at Morecambe bay and throughout the midlands before returning to London. 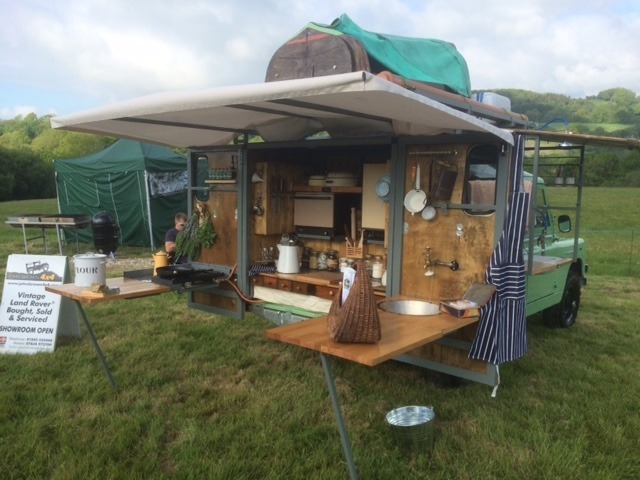 The Converted Jeep ( The Gastrowaggon ) that Hugh would spend many months in! For practical purposes Hugh would allow himself enough money only for the fuel required to get him through his journey, also, he allowed for a few basic cooking ingredients that would make for a more wide-ranging gastronomical experience. The staples he took were – Flour, oil and salt. After leaving his London home Hugh made his way to a Welsh river where he met coracler Bernard, a no-nonsense Welsh fisherman who showed Hugh the art of netting for salmon. alas the pair had no luck, so, they tucked into Minnows and hogweed shoots cooked by Hugh at the river side. Bernard, after a few glasses of his parsnip wine admitted that the hogweed was excellent but the minnows were a little dubious! After leaving the Welsh river Hugh offered his services to a local farm in return for a little produce. After a few difficult hours with goats he was rewarded with a dozen eggs and a jar or two of honey. Leaving the farm he went in search of some protein. The minnows didn’t really hit the spot, so he went in search of wild rabbit. 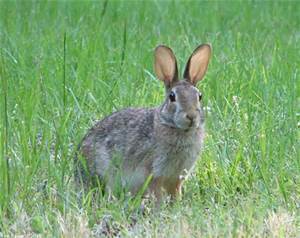 Wild bunnies like this have almost no fat and are a tremendous full flavoured alternative to more traditional meats! Having whetted your appetite (I hope) for Hugh’s foraging to survive challenge, I will now highlight my favourite aspects of this endearing TV programme; Attempting a full critique would require a blog of epic length! One of my favourite episodes of ” a cook on the wild side” featured Hugh fishing on the river Thames a few hundred metres from a power station, the name of which was never divulged. The theory goes that fish enjoy the warm water created by the station, ( has an Angler Myself, I can vouch for this, ) and feed well throughout the day. With his companion Hugh managed to catch roach, perch and small carp. One of the Carp was earmarked for an unusual and a wonderful cooking method! On returning to The Gastrowaggon Hugh produced a paperback book entitled “Manifold destiny” written by Chris Maynard. The book explains that the heat of a car engine, or indeed a jeep engine can be used in a controlled manner to cook most meats, but in particular fish. Hugh placed the Carp onto some oiled tin foil, scattered some salt, wild fennel and parsley over it then closed the foil over and around the fish creating a neat parcel. He then snuggly fitted it between engine and convenient pipe, referred to “Manifold destiny” before disclosing that a Carp of lb would need a steady 45 mph for 30 minutes. 30 minutes later He pulled over and parked on some double yellow lines, Hugh is a rebel, what can I say? On opening the bonnet of the Gastro Waggon he gleefully noted a wisp of steam emanating from the fish parcel, he opened the parcel and broke open the flesh of the carp, “Well, the creamy white flesh of this carp is perfectly cooked and delicious” proclaimed a jubilant man! Unfortunately before the fish was fully enjoyed a Traffic Warden full of his own self-importance only obtainable by a desire to be a police officer but without the wherewithal, appeared in the distance with intent, so Hugh re-wrapped his free meal and drove away. It was when Hugh travelled to the Scottish Highlands & Islands that He discovered Guddling which is a traditional Scottish word describing the art of collecting Oysters, scallops, mussels and other shell-fish from the Lochs. On The isle of Mull he met Linda, a 3rd generation crofter who was his guide for the day. Being clumsy and slightly eccentric Hugh decided to go bare footed guddling and proceeded to slide all over the kelp, falling on his backside a few times whilst Linda went on her merry way in a pair of stout waders. Before Hugh left Scotland He made a batch of this traditional Scottish Ale with professional brewer Bruce. He was subject to some gentle Anglo – Caledonian banter when the team of heather pickers all questioned his name, masculinity and his ability to fill two sacks with heather tops. Some three hours after the Scottish guys had made their quota Hugh finally joined them for a campsite drink and sing-song. The day after, he made his own batch of ale. The link below is the footage of the brewing process employed on the day. To describe the method to inexperienced brewers is difficult and would be quite churlish! Has I previously asserted, to fully portray this wonderful TV show would take 30,000 words and I would suggest, that would no longer be a blog, rather a short book! Ironically its books that I will leave you with as Hugh has written some of the most critically acclaimed food/politics books of any Chef. His books are not recipe books per se, more, in-depth chronicles of food production, animal welfare and the pros & cons of life has a Carnivore and occasional vegetarian! This entry was posted in self-sufficiency and tagged cooking, dvd, fishing, foraging, travel. Bookmark the permalink. 1 Response to Wild food! – A journey of discovery!